How does the wisdom teeth removal works? Wisdom teeth or also known as third molar usually grows at the back of the mouth and are the last teeth to appear in our life. The most common thing is to have four of them located in each corner inside our mouth. Wisdom teeth can cause discomfort when growing because there isn’t always enough space in our mouth for them. This lack of room can cause sometimes that our wisdom teeth emerge in a weird angle, to get stuck, or even to emerge partially. When this happens, dentist say that the wisdom tooth is impacted. A soon as you are in this situation with your wisdom teeth, you should visit your dentist as soon as possible to get an evaluation to decide if they need to be extracted. The first thing he or she will do to check the situation of your teeth is to use the help of X-rays or CT Scan to have a clear view of the position of all your teeth. If the wisdom teeth are not causing any problems then there is no need to extract them, even when impacted, but then there are some risk that can cause the food and bacteria to get trapped, accumulating plaque. This can lead to more serious complications. 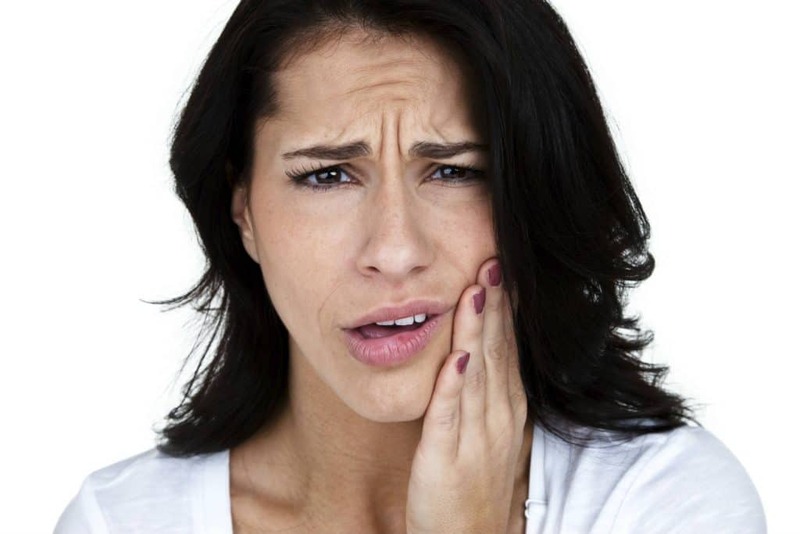 These complications can include dental caries, abscess, gum diseases like gingivitis. These conditions can irritate the gums, making them red, swollen and very painful when touched. The worst part is that they can affect and spread to other teeth too. But the really good news is that many of these diseases can be treated perfectly fine with the use of antibiotics. Another god way to avoid them is having a great dental hygiene habits like using floss and mouthwash after brushing your teeth. Just remember to take good care of your teeth to keep them healthy, including your wisdom teeth! Depending on your dentist analysis, it is very possible that you will need to get your wisdom teeth extracted. And in some more complicated scenarios, you can be referred to a specialist surgeon for more specific medical treatment. Before the extraction of the wisdom tooth the dentist will use a local anesthetic to numb the area around the tooth to make the procedure completely painless. It is pretty normal to feel some sort of pressure as the tooth is being removed, this is caused by the back and forth movement to widen the tooth socket to extract the tooth. Regarding the duration of the procedure it only takes a few minutes. But in others cases can take more than half an hour, and even longer. It will depends on the numbers and state of the impacted teeth. After the wisdom teeth are successfully extracted it’s very normal to experience swelling and discomfort inside and outside of the mouth. The worst will be for the first few days, but it will get gradually better when the days passes until the patient reach two weeks. You should look out for the healing process, avoiding certain foods that are too hard to chew and bite. Another risk factor is smoking, avoid it at all cost or you can infect your teeth pretty badly. Other common complication is the “dry socket”, which is the painful sensation in the gums and jaw. Sometimes it causes bad breath or taste coming from the empty tooth socket, and to avoid it you just have to simply follow the aftercare instructions given by your dentist. Take in account that after the procedure you can experience some nerve damage. Some of the symptoms are pain, tingling sensation or numbness in the tongue, lips, gums, teeth or the chin. Even if this is common, it’s also temporary, so if the feeling persist you should ask your dentist about it. As for the cost, dentists can charge different prices depending on the procedure need for the patient. It will depend on the evaluation that they do before treating you. But if you are interested in removing your wisdom teeth for almost free, you should visit us in Los Algodones Mexico. Los Algodones dentist prices are so low if you compare them to US prices, you to save up to 70%, but it will be more, and the incomparable attention here in Dental Solutions,.